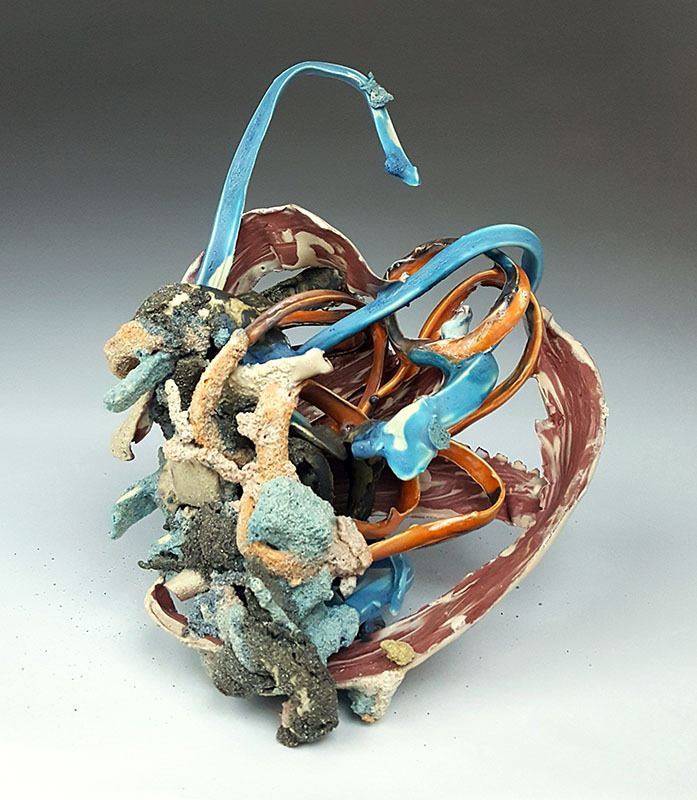 Michael Ware focuses on the tremendous forces that shape the landscape, concentrating primarily on the geologic transformations that occur in the natural world. Rather than an actual depiction, Michael’s sculptures suggest the essence of transformation—the movement, energy, and life. In the summer of 2012 while on a trip to New England, I had a sublime experience in the Adirondack Park in Upstate New York. I was overwhelmed by a powerful presence of beauty. Walking through the woods the earth felt alive. The terrain is relatively untouched and has an intangible energy flowing through it. The landscape had the power to draw me in with both its vastness and subtle features. I was presented with an infinite number of worlds within a larger one. My current work focuses on the transformations that occur in the natural world. Primarily concentrating on the geologic transformations that shape the landscape, these tremendous forces are full of movement, energy and life. What if that spirit was morphed with geologic formations and ceramic objects? The resulting uncanny amalgamations would represent the merging of nature and culture. Rather than an actual depiction of the natural world, the sculptures suggest the essence of the natural world. The sculptures appear to be evolving, moving, growing and impermanent, just like the landscapes from which they emerged. Michael Ware is originally from Montpelier, Vermont. His family moved to Milwaukee, Wisconsin when he was six where he spent the remainder of his childhood. 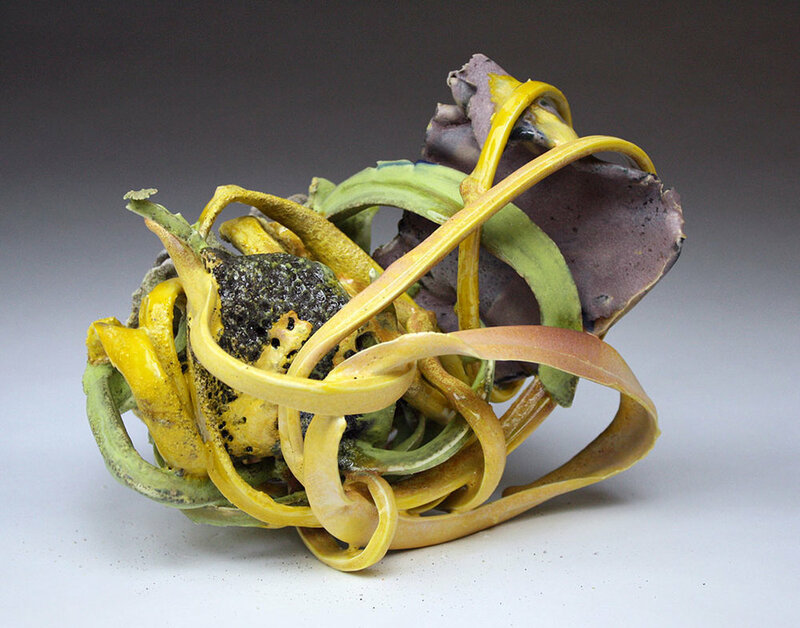 After graduating high school in 2000, Michael moved to Denver, Colorado were eventually he discovered ceramics as a material and fell in love. During his time in Colorado, Michael traveled extensively throughout the continental United States. 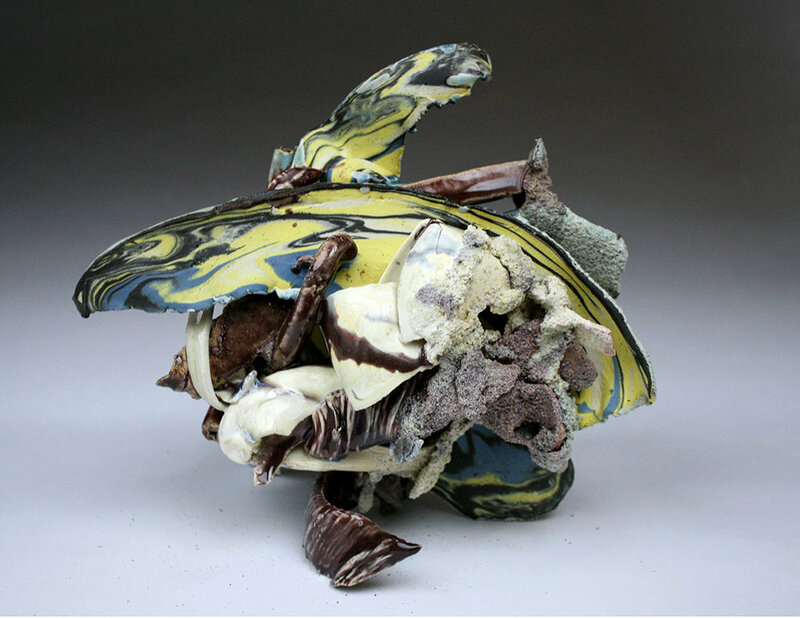 The memories of those experiences and the American landscape serve as the basis for Michael’s abstract ceramic sculptures. After almost a decade of living in Colorado, Michael returned to Wisconsin to attend the University of Wisconsin-Milwaukee where he earned two degrees; a Bachelor’s of Fine Art in 2012 and a Master of Fine Arts in 2015. After graduating Michael set up a home studio in Bay View, a south side neighborhood of Milwaukee, Wisconsin where he continues to create. Michael is also a part-time employee at the University of Wisconsin-Milwaukee where he works in the Ceramics Department as a technician and instructor. The following questions are intended to provide insight into the artist's process, how they got started and what inspires them. What was the first thing that you made? Do you remember why you made it? What materials did you use and why? I can’t recall what the first thing I ever made was, but when my brother and I where younger my father taught us how to use his shop smith so we could construct objects out of wood. I remember making axes and swords to go play outside in our pretend worlds. How and when did you know you were an artist? I always knew, drawing always came easy to me. So I drew and painted my whole life but it wasn’t until I took my first ceramics class in 2005 that I found out what kind of material and process really called out to me. I remember touching it for the first time and knowing I wanted it in my life to some extent. The transformation that clay goes through is truly captivating to me. What was the event/person that got you started creating your art? Does that event/person continue to influence the work that you do? In middle school I had an art teacher named Tim Stark and he encouraged me in a way that I had not experienced before. He believed that skills where obtained by practice and he gave me a place to work. Mr. Stark even wrote me a permanent pass to provide me with permission to leave my other academic classes and draw and paint down in the art room. During this time I realized that in order to truly improve at any skill could only come from hard work. Unfortunately, Mr. Stark passed away a number of years ago and never got to see my current ceramic work. I imagine his presence when exhibiting my work, and I can still feel the warmth of his smile. I find inspiration all around in both nature and culture, finding beauty in everything from the grand, like the landscape or towering buildings, to the mundane, like the debris washing up on the shores of Lake Michigan or a small pebble. But I believe that there were two major influences that molded me as an artist. The first occurred on August 10, 1996. My father took me, a friend, and my brother to see the improvisational rock band Phish preform at Alpine Valley Music Theater in East Troy, Wisconsin. This event had a profound influence on me first; their concerts are more than just a group of musicians playing the hits for their fans. Each Phish concert is a unique experience with an ever changing set list and the potential for any song to lead into uncharted improvised waters. They strive to never play the same show twice. I’ve spent many years of my life following Phish and bands like them throughout the United States. The experiences I have from traveling also became a source of inspiration on its own. My second great inspiration is the Art Potter George Ohr who I was introduced to very early in my ceramic career. George Ohr was a potter living in Biloxi, Mississippi during the turn of the twentieth century. Ohr’s motto was “no two pots alike” he achieved this through altering his pottery in a way that was unseen before him and for decades after his death. He also applied glaze in a similar manner to the Abstract Expressionists application of paint to the canvas many decades later. I have been inspired by many other artists to name a few John Chamberlain, Joan Mitchell, Clyfford Still, Frank Stella, Betty Woodman, John Mason, Michael Lucero, Ken Price, and John Mason. Are there any programs or opportunities to learn that you wish you had had as a young artist? Well, I feel I am still a young artist; my only wish is that it didn’t take me 23 years to touch clay. What would you say to a young person to encourage their study and practice of art? Never stop making art. Through quantity comes quality. Go out and make an effort to experience art with an open mind in all of its forms. The following questions are intended to create insight into the artist’s practice and why they think art is important. Do you like people to see your work/comment on it while it is still in process? I don’t mind when people see my work in process and I am usually very entertained by the comments. 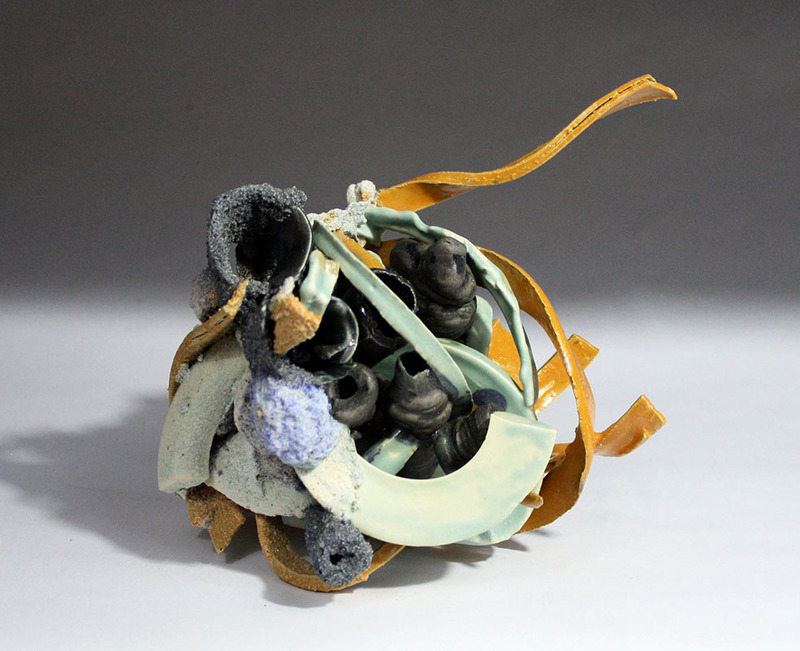 My work, especially in process, doesn’t look like anything and in fact it looks like a lot of scraps of clay. When glaze is applied it often looks very pastel and sloppy. It is in the firing process that the sculpture becomes alive. Do you have a daily artistic ritual or routine? I wish. I am currently teaching at the University of Wisconsin-Milwaukee and working as the technician for the ceramics department there which consumes a lot of my time and energy, but I still find time for myself. My goal every day in the studio is to finish something and to start something new. But unfortunately I have no regular routine due to the nature of my job. What is the most unusual aspect of your creative process? I’d say my whole process is a bit unusual, typically the glaze firing in ceramics gives a finish to the objects surface and brings the clay up to its full maturing temperature. But in my process I use the glaze firing to create the pieces. 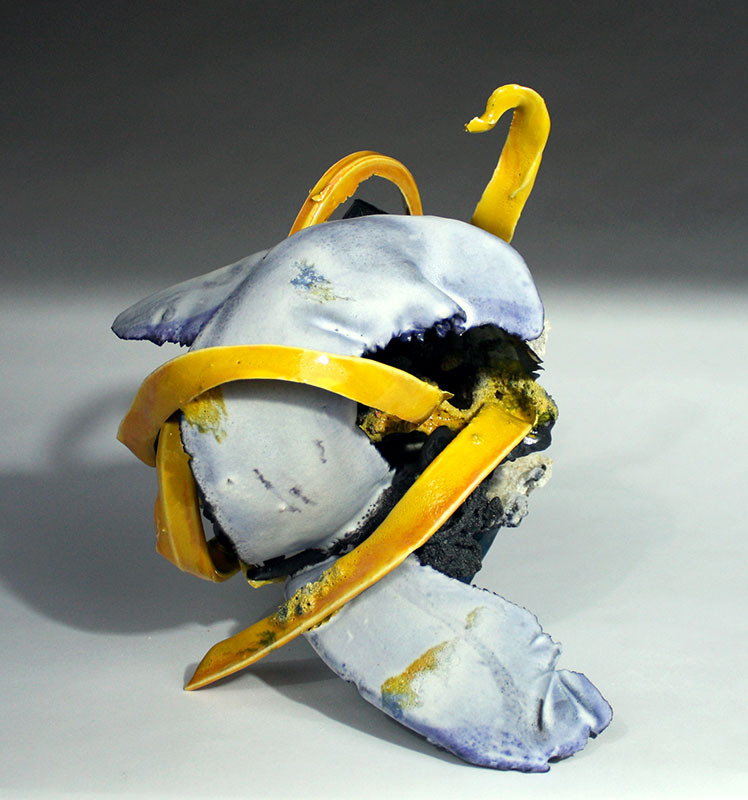 My work is fused together during this final firing. I think of my process in a similar way to that of an improvisation heavy jazz musician. The musician practices songs and scales with the idea that when preforming the songs at some point they might leave the structure of the song to discover something new, something created in the moment. So for me the “practice” is in creating the individual elements and glazes that will eventually become a piece. This part is an ongoing process; the parts and glazes may not be used for years but are always available. When I get ready to make a piece I choose parts and glaze them individually, then begin construction of the piece. At this point I usually have a plan but almost never stick to it and the piece usually ends up somewhere far from where it begins. I find this way of working “in the moment” very exciting and feel my energy lives in the work. This is where I really relate to improvisational music, when it starts off in a rehearsed song but ends up in free form improvisation. Is this your first career and only career? Yes this is my first career. I have had other jobs but nothing I’d consider a career. I can’t imagine doing anything else. If not, what jobs have you done other than being an artist and how has that influenced your artistic practice? I wouldn’t say any other jobs I’ve had influence my art specifically other than reminding me to work hard because I don’t want to do anything else. I create art because there is a need inside me to make, and to create something that I haven’t seen before. While creating my current work I find myself excited while becoming lost within the work. I see my art as a contemplative place both for me as the creator but also for the viewer. What role does the artist have in society? Why do you think art is important? I look at the arts as being a place where people can use skills such as problem solving and free thinking. These are necessities for an enlightened and innovative society. I feel an artist is always thinking about what could be possible, thinking past what is into what could be. What do you think is the importance of supporting the arts? If the arts are not supported they could disappear and who would want to live in that world. Without the arts our society would be very one dimensional.